The Proton Saga is a series of compact and subcompact cars produced by Malaysian automobile manufacturer Proton since July 1985. 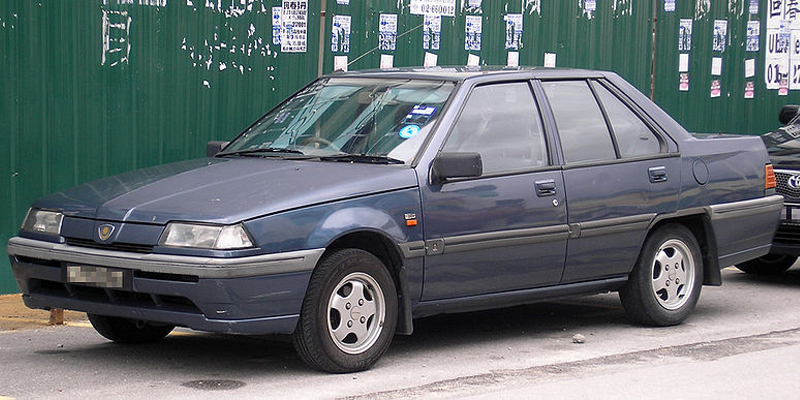 The first generation Proton Saga produced between 1985 and 2008 was the first car to be produced by Proton. It was based on the 1983 Mitsubishi Lancer Fiore sedan as a result of a joint venture between the Malaysian government and Mitsubishi Motors of Japan. It was available in 4-door saloonand 5-door hatchback guises. The second generation Proton Saga is a 4-door subcompact sedan which launched on 18 January 2008. It is based on a stretched Proton Savvy platform and was developed in-house by Proton with technical support from Lotus Cars and LG CNS. 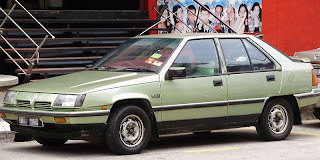 The Proton Saga saloon was launched on 9 July 1985. It was based on the 1983 Mitsubishi Lancer Fiore sedan platform and was powered by a 1.3L Mitsubishi Orion 4G13 engine, mated to a manual transmission. In 1987, the more powerful Proton Saga 1.5L saloon was introduced alongside ahatchback variant called the Proton Saga Aeroback. On 16 March 1989, Proton launched the Saga in the United Kingdom. The saloon models were renamed Proton 1.3 and Proton 1.5 whereas the hatchback version was called the Proton Knight. Proton advertised their models with the slogan Japanese Technology, Malaysian Style there and later went on to set the record for the Fastest Selling Make of New Car Ever to Enter the United Kingdom. In August 1990, Proton introduced the more powerful Proton Saga 12-valve Mega Valve for the domestic market. The exterior was altered slightly with a new grille, black trim strips and rims along with the inclusion of rear seat belts and a third brake light as standard. 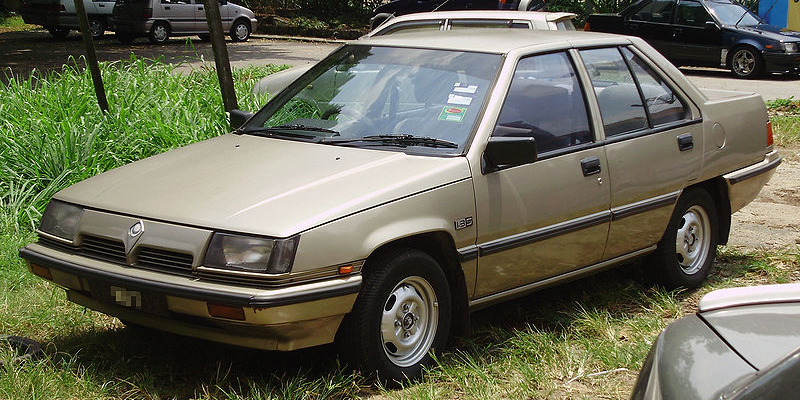 On 15 August 1992, the Proton Saga Iswara was launched. It was named after the Great Helenbutterfly (Papilio iswara) of Sarawak. It shared the platform found in the previous iteration, but received major exterior and interior changes. 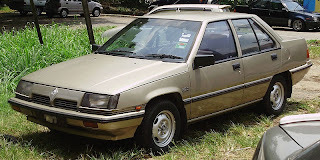 The Saga Iswara was available in 4-door saloon and 5-doorhatchback guises and was equipped with the same Mitsubishi Orion 1.3L and 1.5L engines. The saloon version of the Saga Iswara became Malaysia's preferred choice of taxi. In 2001, Proton introduced the Saga Iswara Sport. It was based on the Saga Iswara hatchback but included large exterior cosmetic changes and minor interior alterations. It was only available in silver, withmanual transmission and the 1.3 litre 4G13 engine. The Proton Saga LMST hatchback was launched in 2003. It was based on the same platform found in the previous models. Nonetheless, it featured a modernized interior and major exterior modifications and improvements. The 1.3-litre Mitsubishi 4G13 carburettor engine was tuned to produce 83 bhp (62 kW). It was only available in two trim lines, limited to the 5-speed manual transmission. In late 2006, Proton updated the Saga LMST, offering mainly cosmetic exterior changes. It was only available in two colours, black and orange, and was limited to the 4G13 1.3L engine, mated to a 5-speed manual transmission. On 4 March 2007, Proton launched the final facelift model of the first generation Proton Saga, the Proton Saga LMST 50th Merdeka Anniversary Edition. It was largely identical to the 2006 Saga LMST, but was sold at a discount price of RM26,999 as opposed to the former RM33,240 price. The promotion was made in view of Malaysia's 50th Merdeka celebrations and as a symbol of Proton's gratitude to their customers. That year, the Proton Saga became the second best selling car behind the Perodua MyVi. The much anticipated second generation Proton Saga, also called the Saga BLM (Base Line Model)launched on 18 January 2008. It was indigenously designed unlike the former generation and launched with 3 variants which were priced between RM31,498 and RM39,998 respectively. All variants were powered by Proton's 1.3 litre CamPro IAFM engine. 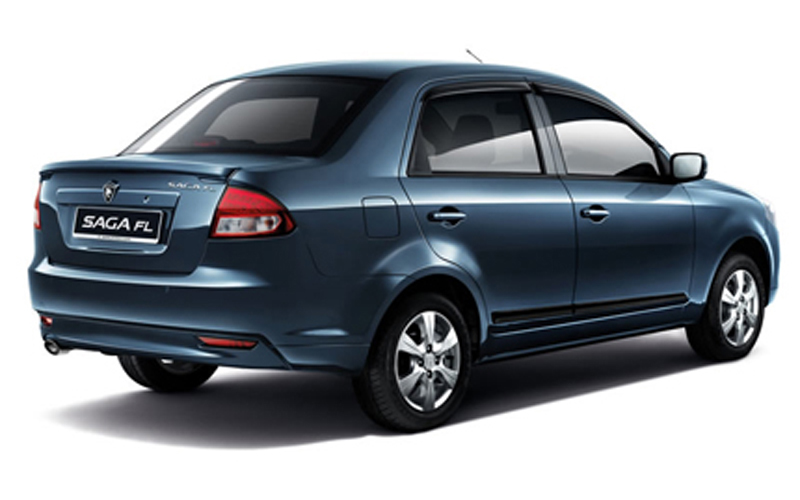 The new Saga was a great sales success for Proton, having received over 23,000 bookings in less than two weeks since launch. It also replaced the older Saga Iswara as Malaysia's taxi of choice from 2008 to 2010. The taxi variants were equipped with 1.6 litre 110 bhp CamPro engines and were later converted to NGVs. The Proton Saga SE was unveiled in July 2009. It was sold as a premium variant with just 2 colour options and a unique body kit, mated to the CamPro 1.3 engine found in the other models. In that same month, Proton showcased the emission-free Saga EV Concept in Universiti Putra Malaysia, Serdang. Powered by a 125kW (168hp) DC motor mated to a 5 speed manual transmission, it had a maximum range of 109 kilometres (68 miles) and could be charged over a standard household outlet. On the Christmas eve of 2009, Proton launched the S16 in the Australian market. The S16 was identical to the Saga, but featured the more powerful 110 bhp CamPro 1.6 engine. At the time, it retailed for AUD$11,990, making it the cheapest new car in Australia. On 30 November 2010, Proton unveiled the facelifted Proton Saga FL at the Thai International Motor Expo 2010. It received large exterior updates, but the technical specifications and interior remain mostly unchanged from the pre-facelift Saga. The Saga FL was launched in Malaysia two weeks after its Thai unveil. It was sold in two trim lines and both were available with 4-speed automatic and 5-speed manual transmissions. 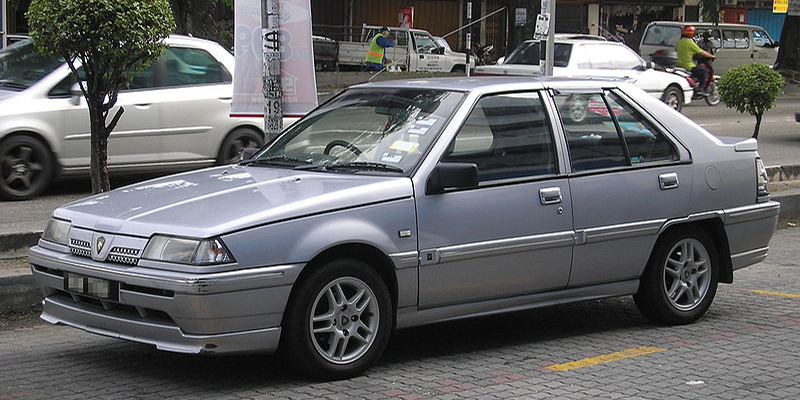 Every Proton Saga FL came standard with 4 power windows. Later in May 2011, a more powerful model called the Proton Saga FL 1.6 Executive was launched. 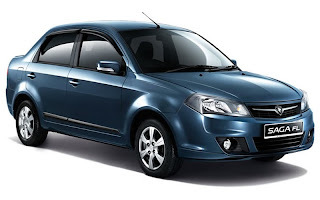 8 months after the launch of the Saga FL, Proton added to its line-up the Saga FLX in which 'X' stands for extra. The FLX is available in two trim lines which can be mated to a choice of either manual or CVT drivetrains. The fine-tuned CamPro IAFM+ engine is utilized and there are options for dual airbags and (ABS) with EBD). The handling has been vastly improved with a new suspension setup which strikes a balance between ride comfort and handling performance. The exterior of the Saga FLX is identical to the Saga FL. 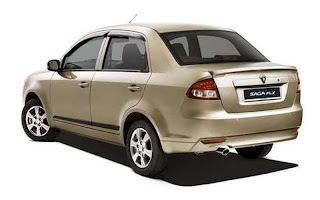 The Proton Saga FLX SE was launched on 30 November 2011. It is powered by a 108hp CamPro IAFM+ 1.6 litre engine, paired to a CVT. Driver and passenger airbags as well as ABS with EBD are standard. The FLX SE is equipped with sportier kit and is only available in two colours, white and red. The Saga FLX entered the Australian market in June 2012, where it was renamed the S16 FLX. It replaces the old S16 in Proton Australia's fleet. The S16 FLX comes in two variants, the GX and GXR, each with manual and CVT drivetrain options respectively, with dual airbags, ABS and EBD standard across the range. 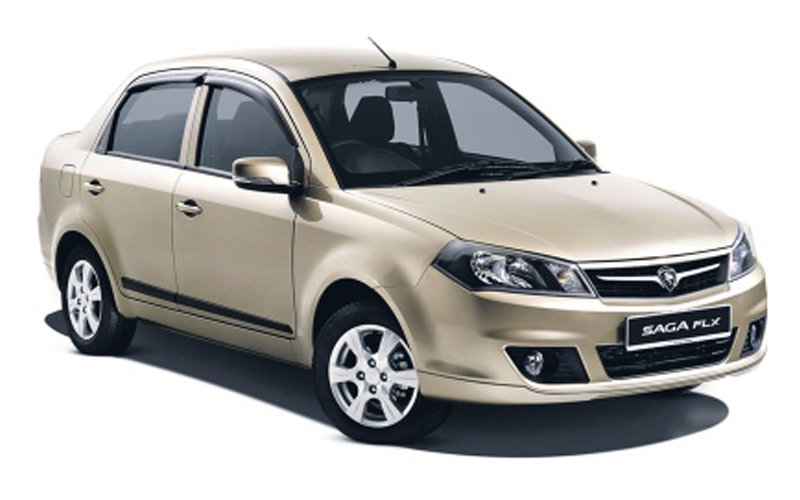 On 15 June 2013, Proton introduced a new sub-variant of the Saga FLX, called the Saga SV. SV is an acronym for Super Value, with prices starting from just RM33,438 for the manual transmission variant. Despite the reduction in price, the Saga SV offers improved safety standards with dual airbags and a reinforced frame with only minimal exterior changes when compared to the Saga FLX Standard. 1991 What Car? - Best Value Car of the Year (Proton Saga 1.5E Aeroback). 1992 Auto Express - Best Value Popular New Cars. 1993 What Car? - Best Buy Family Car up to £10,000. Last updated on 26 July 2013 at 00:07.